The season for local chestnuts begins in the fall. Although Rome’s street vendors sell chestnuts of mysterious provenance from makeshift roasters year-round, the season for local chestnuts begins in the fall when Italy’s various varieties are harvested, then stored or prepared for future use. Throughout the winter, you will find sweet and savory preparations at bakeries and sweet shops all over town. Mont Blanc, made from meringue, whipped cream and pureed sweetened chestnuts, is a classic trattoria dessert in Rome, where individual portions are sliced from loose heaps resembling snow-capped mountains. 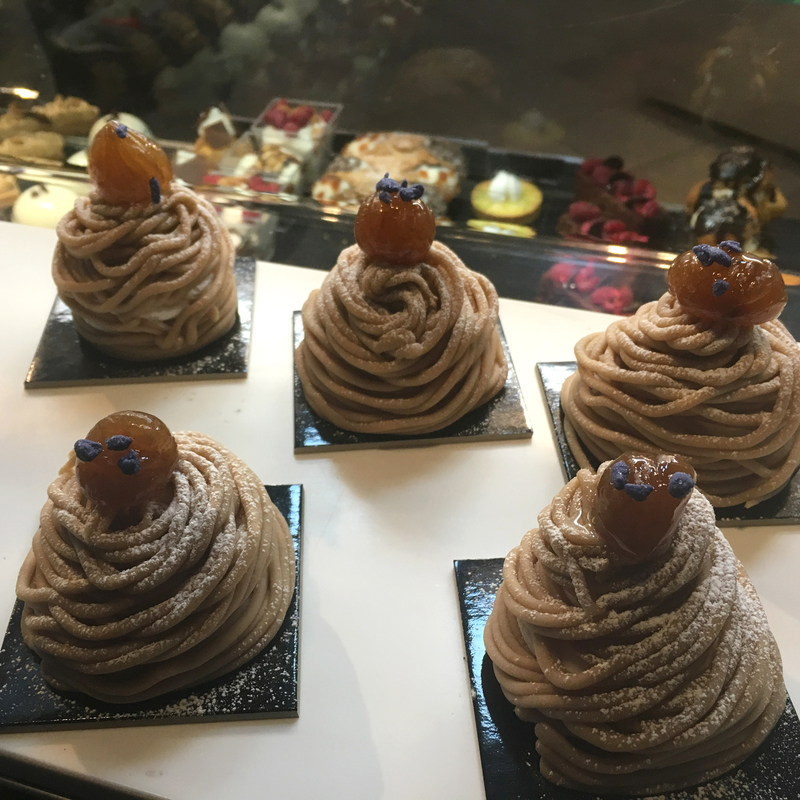 At his eponymous pastry shop, Andrea De Bellis diverges slightly from the tradition and serves meticulously constructed personal portions of Mont Blanc, garnishing them with candied violet petals. 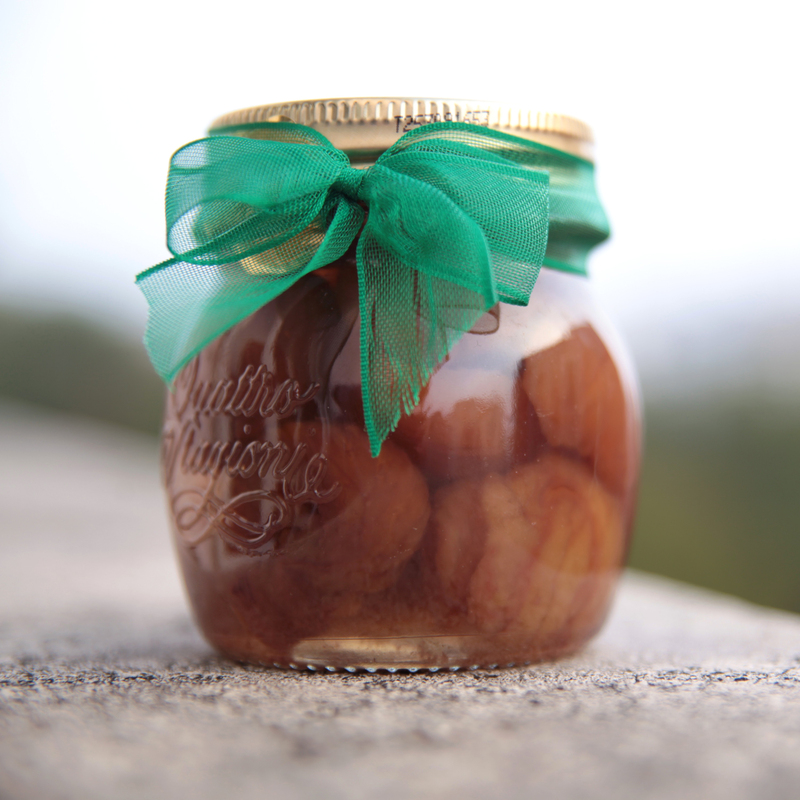 Candied chestnuts may have originated in Southern France, but they are at home in Rome’s Prati district, where the Fabbrica Marron Glacé & Cioccolatini Giuliani has been producing this sugary confection since 1949. They make small batches daily using all-natural ingredients and sell simple as well as chocolate-coated versions. At Ciampini, an elegant café in Rome’s swankiest shopping district, chestnuts appear at the gelato counter in various incarnations. The finest flavors are marron glacé and Mont Blanc, and since Roman gelato tradition mandates a minimum of two flavors for even the smallest serving, these chestnut-based gelati are a logical pairing. Historic sweet shop Moriondo e Gariglio, which was originally founded in 1850 by a pair of Piedmontese cousins, sells a wide range of chestnut confections, which are available only in the fall and winter. 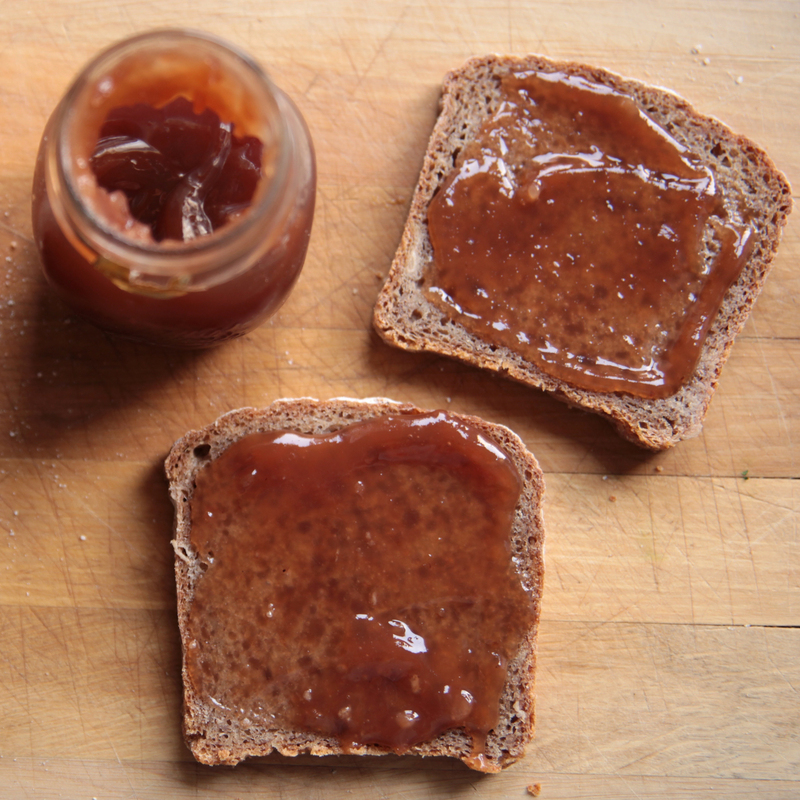 Their crema di marroni, a chestnut spread, is a sweet and satisfying accompaniment to a slice of freshly baked rye bread. 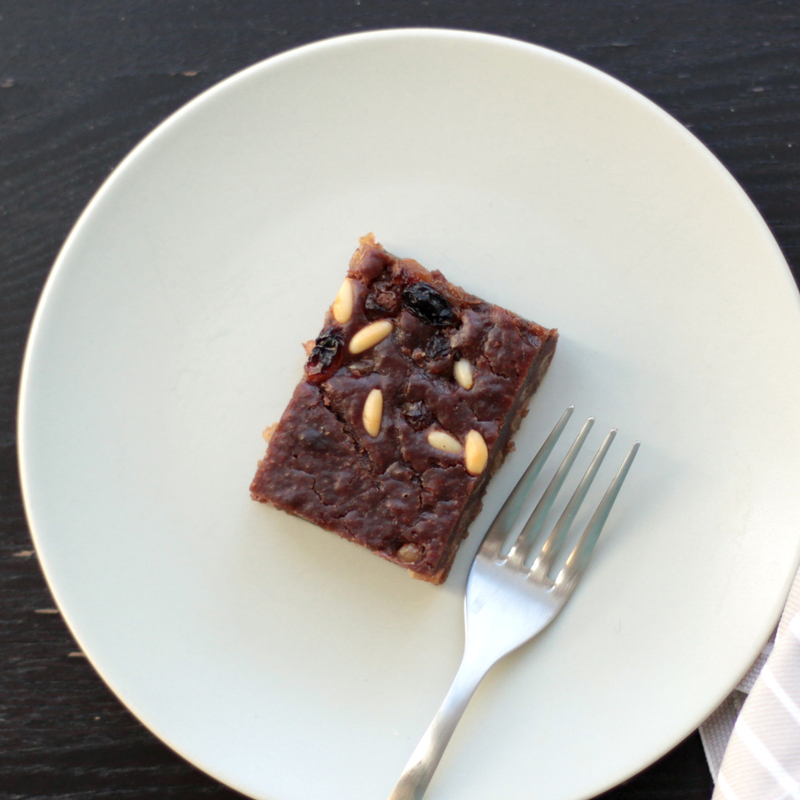 Roman bakeries have fully embraced castagnaccio, an unleavened cake made with chestnut flour and studded with pine nuts and raisins. Roscioli’s earthy, savory castagnaccio is sliced and served in the fall and winter from flat slabs baked in iron pans.